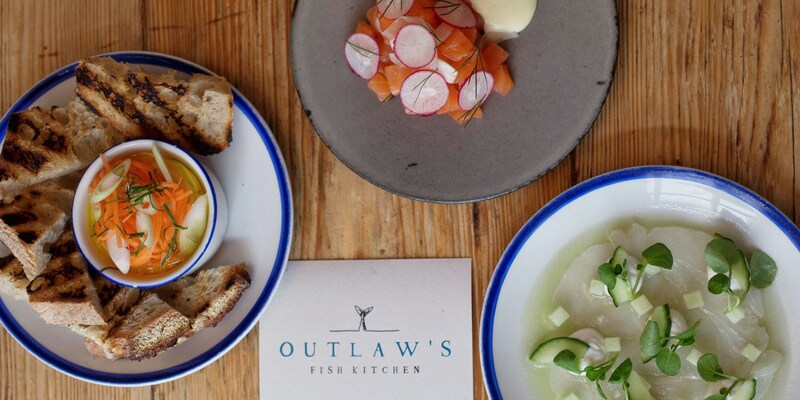 Outlaw’s Fish Kitchen is Nathan Outlaw’s second restaurant in Cornwall’s beautiful Port Isaac, and has already earned a Michelin star for its delicious small plates served in a rustic seaside cottage. There can be no doubting Nathan Outlaw’s credentials as the UK’s foremost authority on fish these days. With Restaurant Nathan Outlaw retaining its two Michelin stars and taking number one spot in the Good Food Guide 2018, he’s undoubtedly a star amongst stars, in a part of the world that contains a plethora of superb restaurants. Nathan’s vibe has always been laidback – in Restaurant Nathan Outlaw, he may own the most relaxed two star establishment in the country – but Outlaw’s Fish Kitchen takes this to new levels. A lot of that is thanks to the setting – a cosy fisherman’s cottage, with low ceilings and unmatched views of Port Isaac’s harbour. This, incidentally, is the harbour that supplies almost all of the restaurant’s fish and seafood. It’s no accident that the north coast of Cornwall is home to so many outstanding restaurants – it’s also home to some of the best seafood in Europe, and Outlaw’s Fish Kitchen buys from these fishing boats every morning, serving a menu of small plates based on the daily catch. As has always been true of Nathan’s cooking, dishes at Outlaw’s Fish Kitchen are designed to show off the seafood with the greatest respect. The produce is so fresh, it may often come raw as a carpaccio, or cured like the monkfish ceviche with tomato and sweet potato. Simplicity is also a calling card here, with dishes like crispy ling and chilli jam, or red mullet with sweetcorn relish; the head chef Tim Barnes often choosing to pair just two elements on a plate. To drink, the restaurant keeps the list small but perfectly formed, with local beers and ciders and a compact wine list on offer. 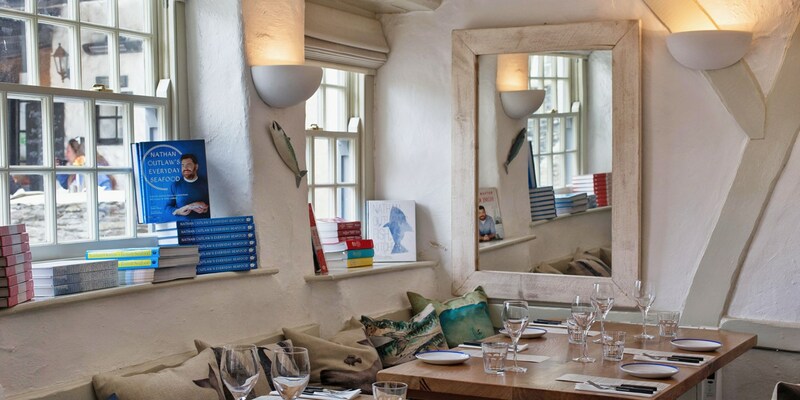 The cosy old cottage that houses Outlaw’s Fish Kitchen is a grade II listed, fifteenth century building. As a result, the restaurant is rather small. It only has eight tables, and parties larger than four are restricted to the ‘Outlaw’s Fish Kitchen to share’ menu at £45 per person. The kitchen team works very closely with local fishermen, ensuring all the produce they work with adheres to the highest environmental standards. Nathan Outlaw is justly lauded for his skilful handling of British seafood, making it somewhat surprising that he was brought up in landlocked Maidstone, Kent. His father was a chef and so Nathan was initiated into the culinary world from an early age – at eight years old he was buttering toast during the breakfast service in his father’s kitchen – and by fourteen he was working in industrial kitchens during evenings and weekends. 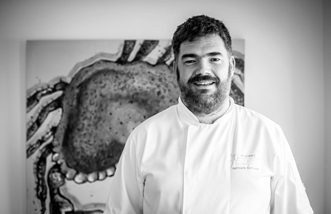 Nathan Outlaw spent two years at Thanet Catering College in Broadstairs before moving to London to work under Peter Kromberg at the five-star Intercontinental Hotel. He moved on, working for both Gary Rhodes and Éric Chavot before setting his sights further afield.